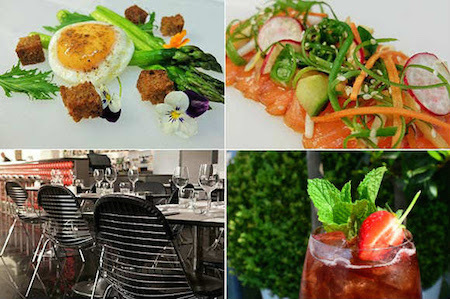 Alongside a summery welcome cocktail, sample three delicious courses in the stylish Brasserie. Alongside a summery welcome cocktail, sample three delicious courses in the stylish Brasserie, with dishes including treacle cured beef, smoked cod with hummus and tomato, and lemon meringue with basil ice cream. A tranquil setting elevated above the city, floor-to-ceiling windows frame stunning panoramic views of Manchester. Perfectly complementing Harvey Nichols chic surroundings, the Second Floor Brasserie sits 6 minutes walk from Manchester Victoria Rail Station.